Junior Emma Wieland. Source: athletics.greenville.edu. Emma Wieland, from Mascoutah High School, is a junior here at Greenville University. 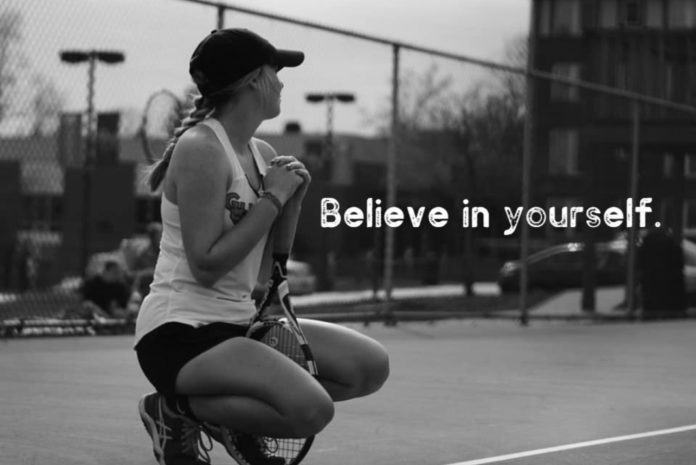 She is an English Education major and a part of the women’s tennis team. After high school, Wieland originally planned to attend Carroll University located in Wisconsin, but as soon she visited Greenville University, she felt a calling to change her plans to attend Greenville instead. 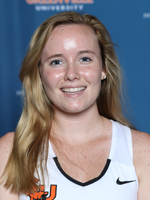 Playing tennis is something Wieland knew she wanted to do coming into college because it is a sport that she loves and has a passion for. Wieland will never be able to replace tennis because of all of the relationships and fun memories that she has created throughout her years playing. Greenville University is a place where Wieland has created many long-lasting memories and relationships throughout her three years attending. One of her best memories happened the week she had a tennis tournament during spring break, because of all the unforgettable moments she and her teammates created with each other. Going on trips to tennis tournaments are times when Wieland and her teammates have the opportunity to bond and get to know each other more. These road trips to compete against other teams are big deal for Wieland because of the chemistry her and teammates get to build. 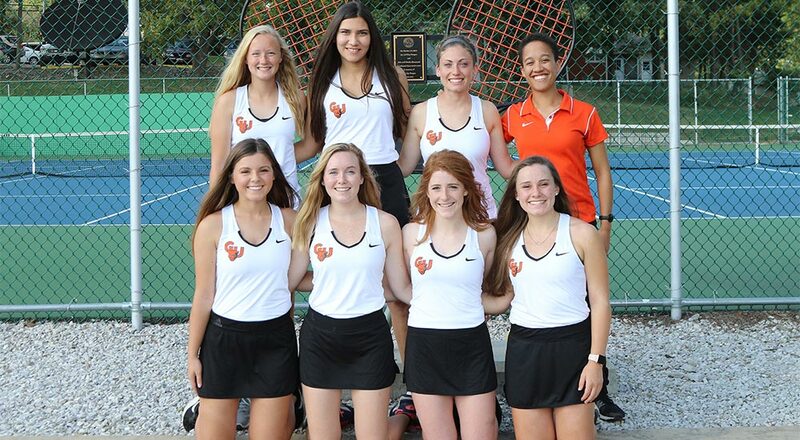 ’18-’19 GU Women’s Tennis Team. Source: atheltics.greenville.edu. 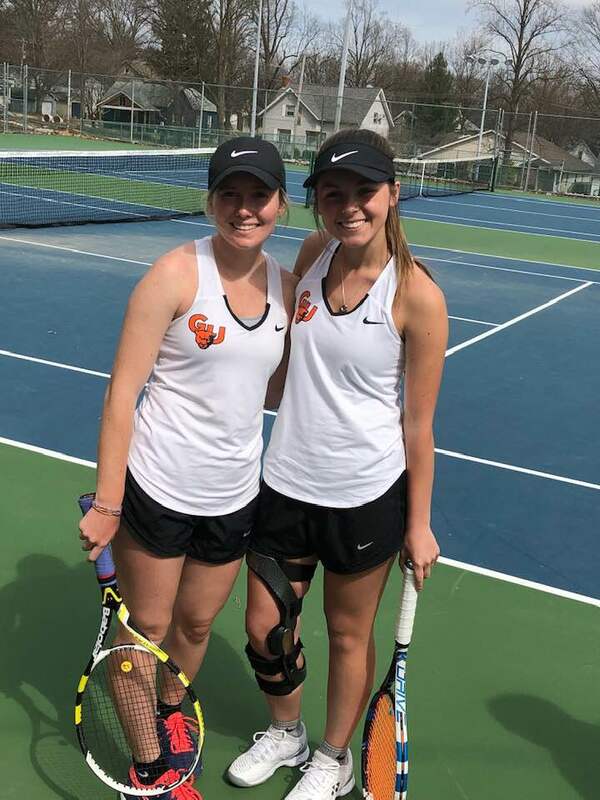 Wieland (left) and her doubles partner, Bailey Pearce. Source: Emma Wieland on facebook.com. One of Wieland’s biggest accomplishments was receiving the NCAA Newcomer of the Year. For Wieland, it was an honor to get the award because of her brother receiving the award in the previous years. Putting in the hard work and getting all of the support from her coaches and teammates were the main factors in receiving the award. An accomplishment like this does not satisfy Wieland enough, but instead she embraced it and became even more humble to be the best player she can be. Coming into a new season, Wieland hopes to keep getting better and maintain a positive attitude. Previous articleIntramural Basketball: Win or Back To The Dorms? ?